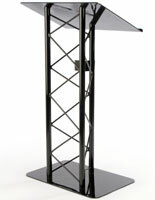 This sivler truss podium features an open metal design that brings a contemporary feel to any setting it is placed in. 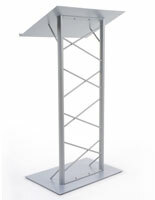 The stylish floor lectern has a large top surface, perfect for holding lecture notes or presentation materials. 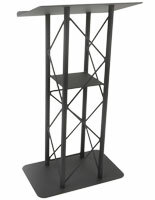 Each neutral finish truss podium is a perfect lectern for conference room, church, convention center, or school use due to the durable powder coated finish. 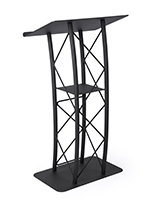 The top surface of the reading stand has a curved book stop that prevents papers or reading materials from sliding off of the pulpit. 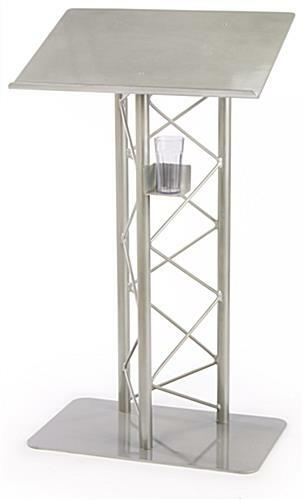 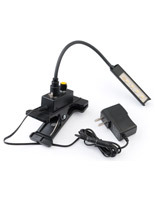 Each truss podium also offers a cup holder built into the metal frame. 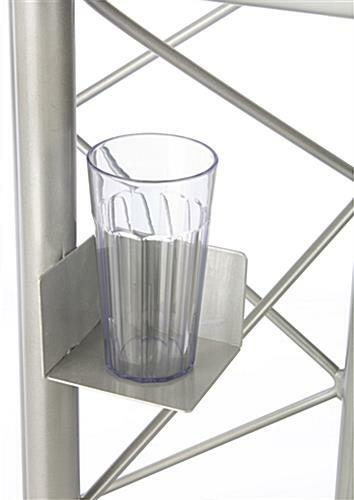 The shelf can be used to place a beverage conveniently at hand for the orator. 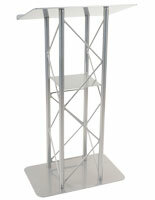 This versatile and attractive podium is made from aluminum with a steel base and top. 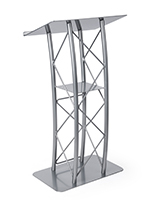 The floor standing lectern is powder coated in a silver finish to create a stand that complements any environment and focuses attention on the speaker. 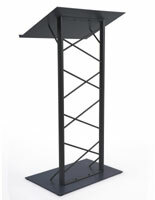 This elegant public speaking podium ofers economical yet sturdy construction and eye-catching style. 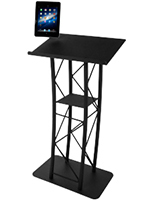 This speakers' stand is a sturdy and stable fixture that is easy to move as needed, making it a great choice for on and off-site events. 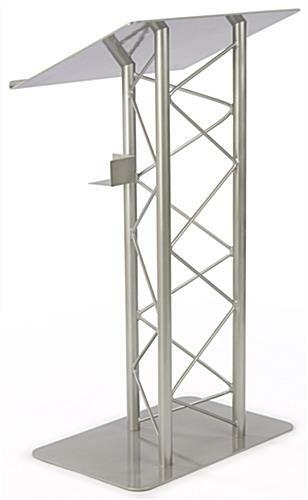 27.0" x 48.0" x 18.5"
27.0" x 0.625" x 17.5"